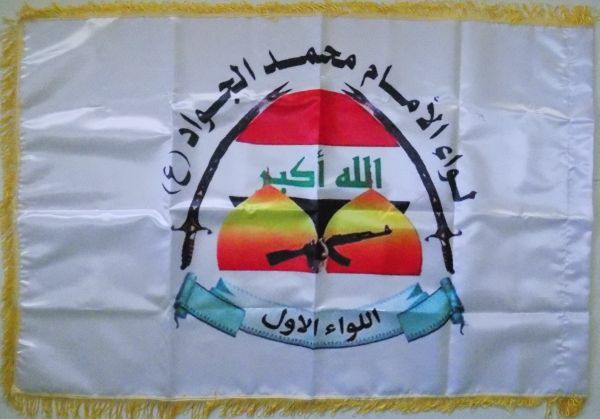 Babylon Brigade Banner with fringe which is made from a soft material and is 56 x 33-1/2 inches high . 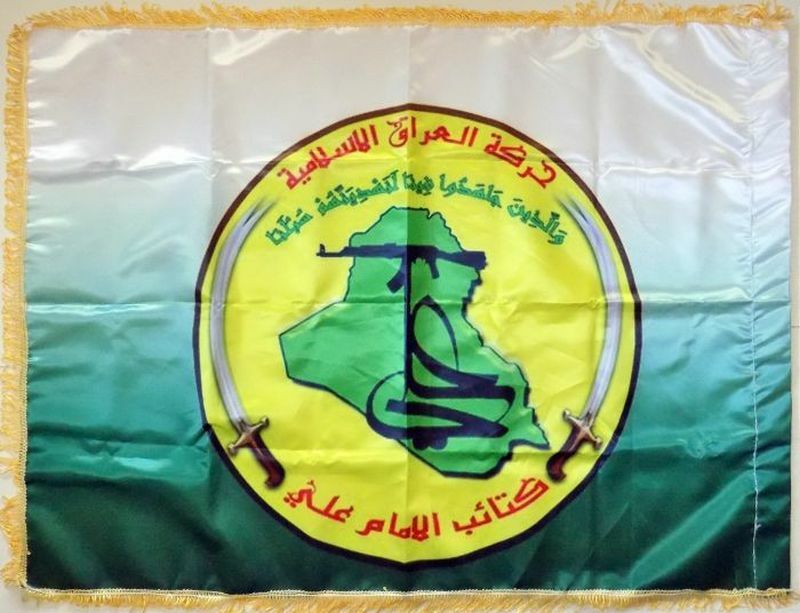 The Babylon Brigade is a Christian group fighting ISIS. 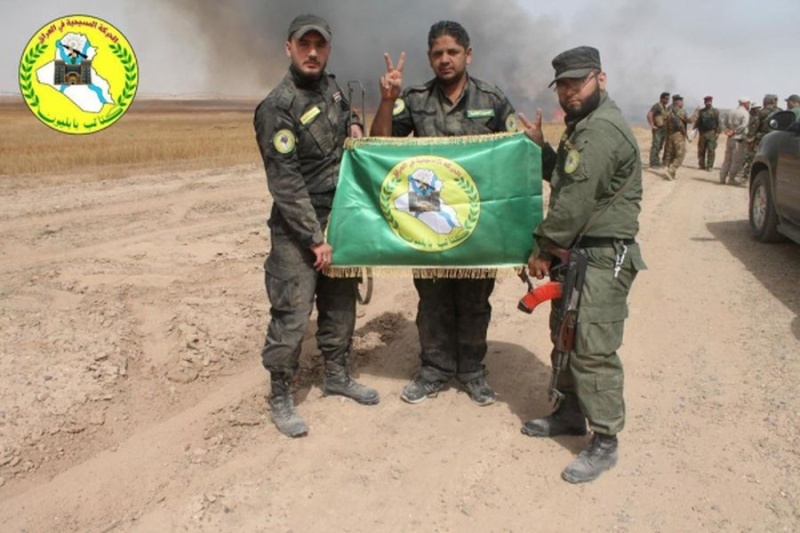 The accompanying photo is from a Google Search and is credited to www.reddit.com and taken near Ramadi, Iraq in 2015. 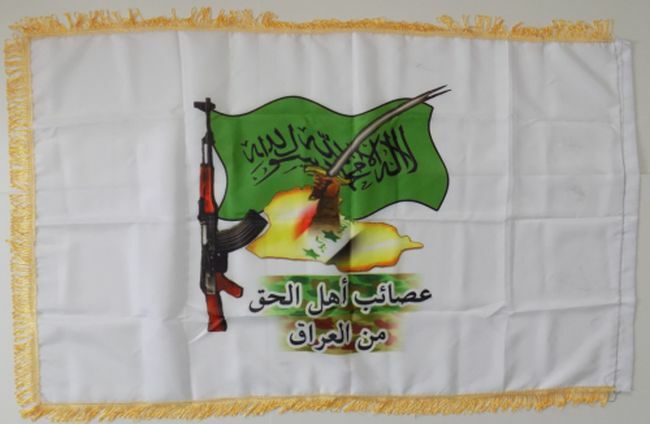 Anger Brigade Banner with fringe, made of a rayon like material and is 54 x 33-1/2 inches high. look for awhile. 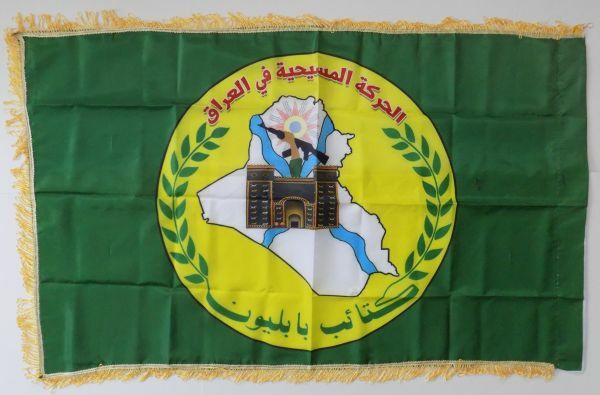 I also received some from my friend in Iraq. 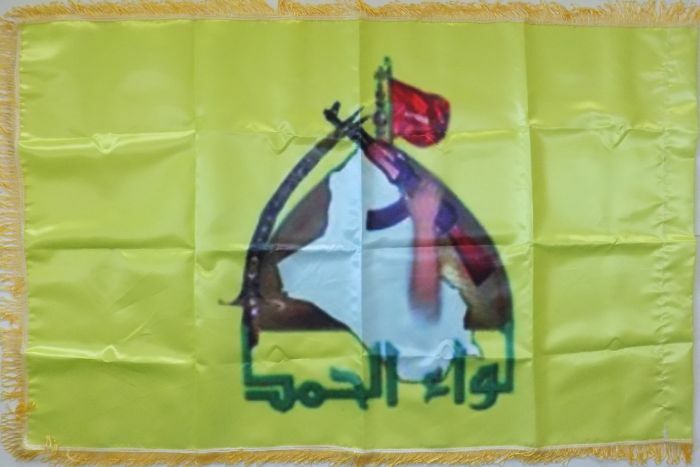 Zainab's Protector Brigade Banner with fringe, made of a soft material and is 54 x 33 inches high. 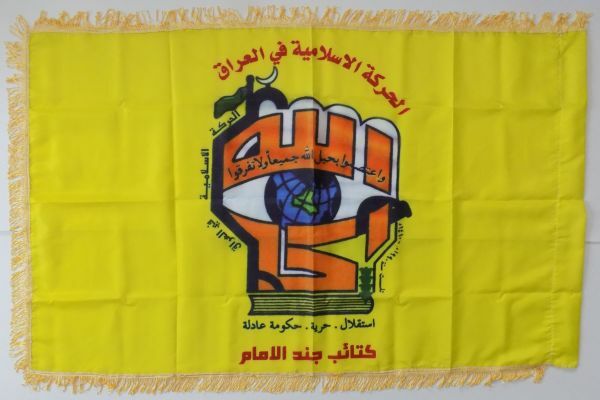 League of the Righteous Banner with fringe, soft and 55-1/2 x 33 inches. 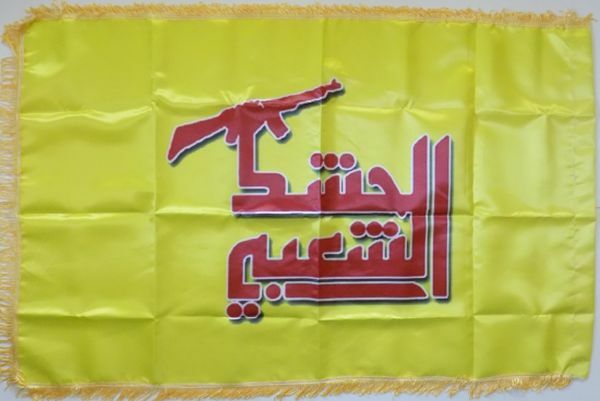 Popular Crowd Banner with fringe, made from a rayon like material and is 54 x 34 inches. 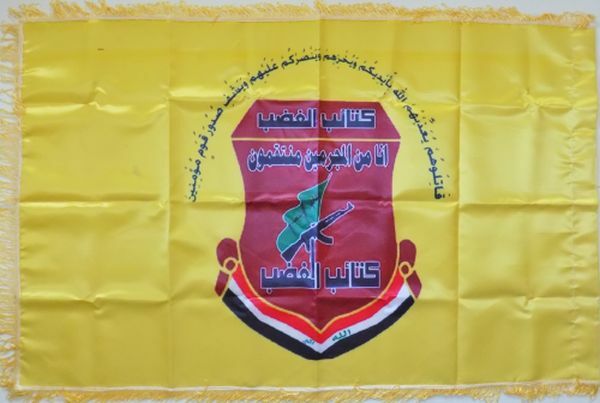 The First Brigade Banner, made of a rayon like material and is 51 x 34 inches. and is 54 x 34 inches high. 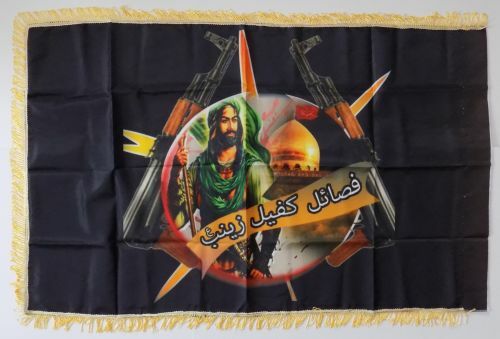 Soldiers of Imam Brigades Banner with fringe, soft material and is 53-1/2 x 32-1/2 inches high. 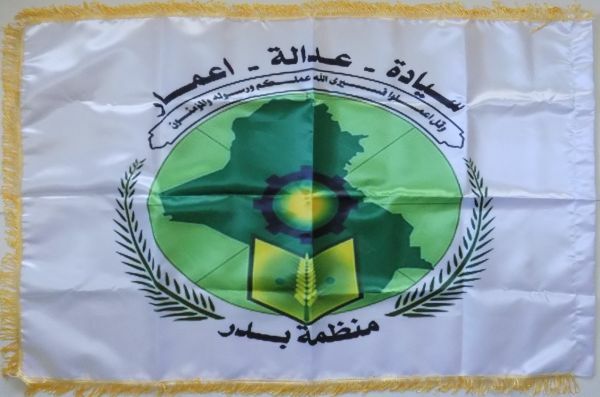 Badr Organization Banner with fringe, made of a rayon like material and is 53 x 34 inches high. 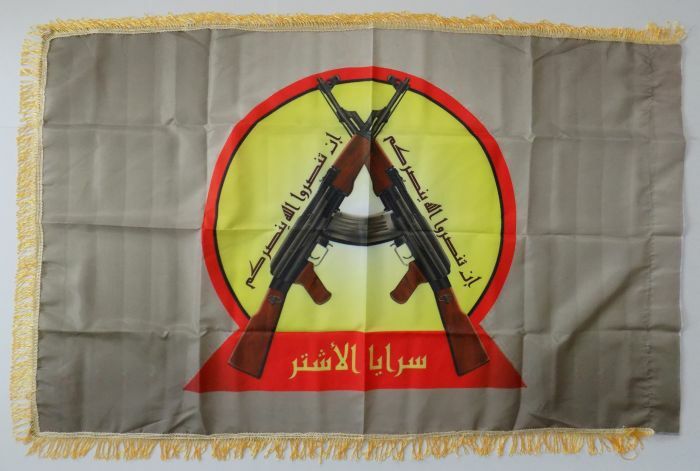 Najafi Brigades Banner with fringe, soft material and is 55-1/2 x 33 inches high. Praise Brigade Banner, made from a rayon like material and is 53 x 34 inches high. 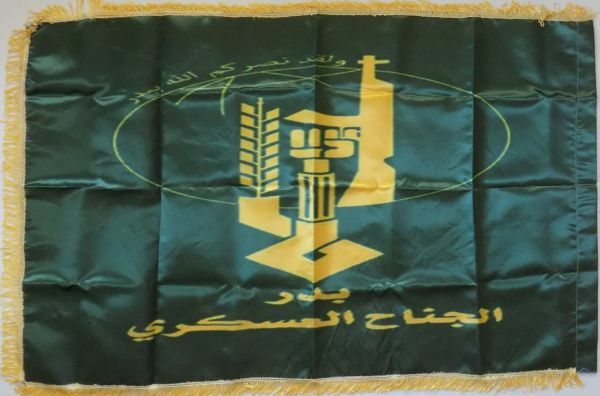 Al- Ashtar Brigade, made of a soft material and is 54 x 33 inches high. 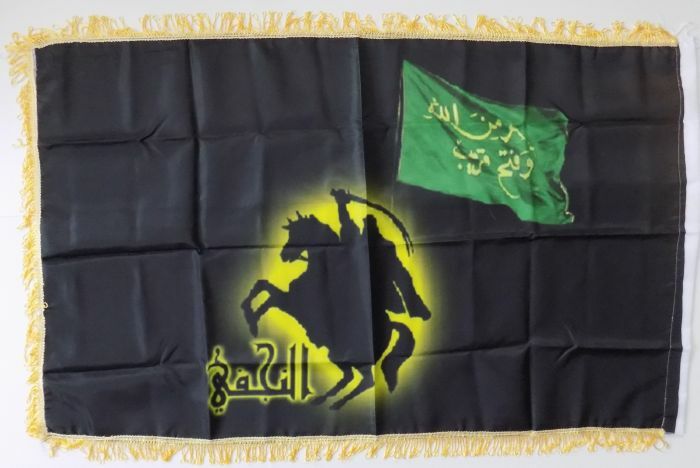 Imam Ali Banner, made of a rayon like material and is 51-1/2 x 37 inches high. Great additions Robert. Your collections is amazing! 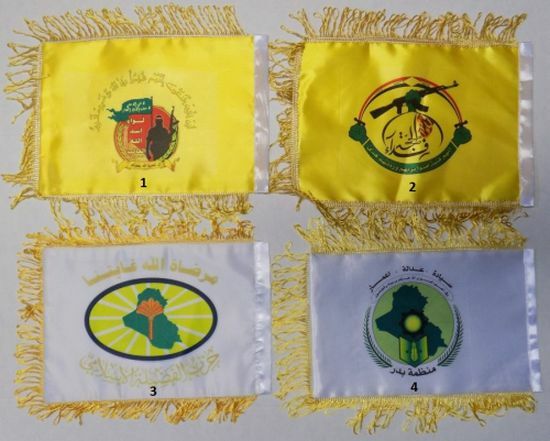 Here are a few table flags that I recently acquired. 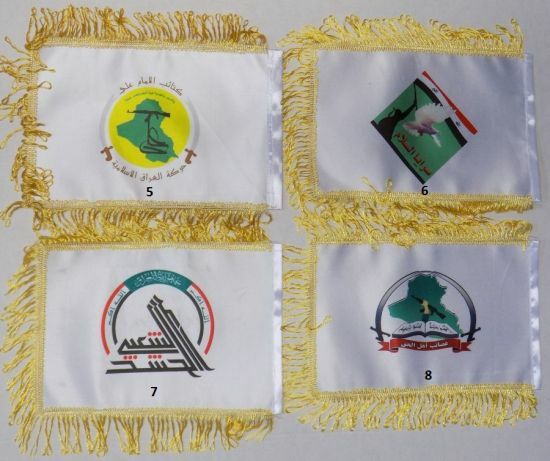 5 - Imam Ali Btns. 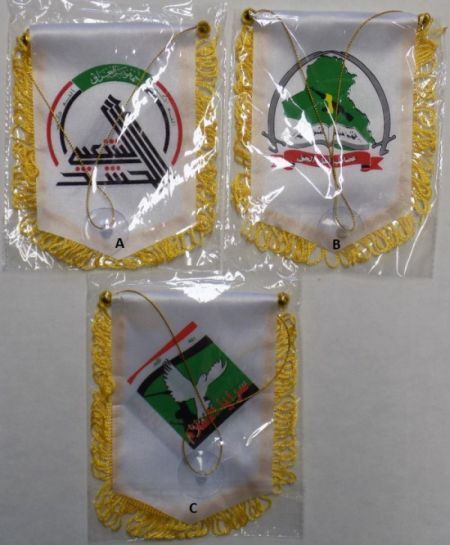 Window or wall flags 4 in. x 6 in. and a suction cup to stick to a window or wall. Great looking Bob! Nice to see you adding to your huge collection! Thanks Zeked!